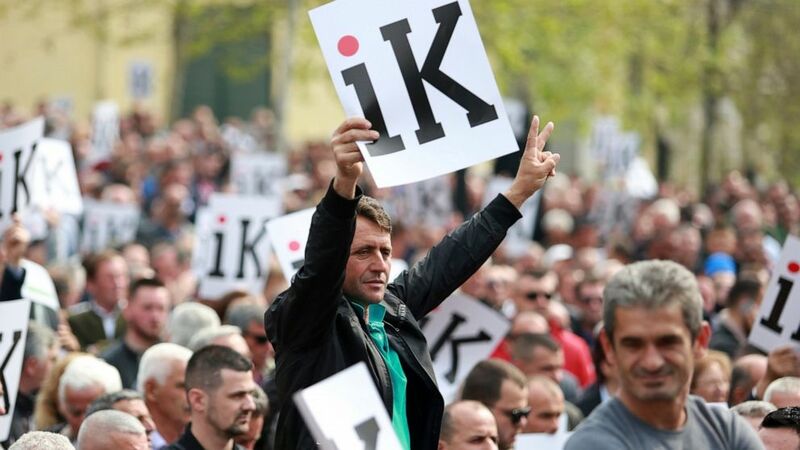 Albanian opposition parties have continued their weekly protests calling for the government's resignation and an early election. The center-right Democratic Party-led opposition accuses the leftist Socialist Party government of Prime Minister Edi Rama of being corrupt and linked to organized crime, which the government denies. A few thousand protesters, apparently fewer than a week ago, gathered Wednesday in front of the parliament building shouting "Rama go!" while their leaders and others made short speeches. There were fewer attempts to break the police cordon and the rally ended more quickly. The parliament held its weekly session, protected by hundreds of policemen. In previous protests since mid-February, opposition supporters have repeatedly tried to enter the parliament or government buildings and police have responded with tear gas and water cannons.